On Monday morning April 1st, Ohio Governor Mike DeWine, Lt. Governor John Husted, the Governor’s Lake Erie Commission Director Joy Mulinex, and cabinet members Mary Mertz (Ohio Department of Natural Resources), Dorothy Pelanda (Ohio Department of Agriculture), and Laurie Stevenson (Ohio Environmental Protection Agency) sat down with representatives from nearly 50 stakeholder groups from around the state to discuss his proposed H2Ohio Water Quality Initiative. The backbone of the plan is the establishment of a 10-year, $900 million fund to pro-actively tackle water quality issues across the state. After his opening statements, Governor DeWine asked each of his Directors to speak briefly about how their agencies would use the funds and engage stakeholders. Director Mertz (ODNR) went first and focused on wetlands creation and restoration in critical watersheds. Long recognized as an effective multi-use tool for water filtration, Director Mertz emphasized the multiplication of these funds when combined as part of public-private partnerships. Director Stevenson (OEPA) outlined the need to provide financial assistance to communities in need of infrastructure updates to modernize drinking water and waste water treatment. As part of the Governor DeWine’s efforts to elevate protection of Ohio’s most vulnerable populations and children, additional focus will be placed on providing seed money to minimize exposure to lead in drinking water. Lastly, Director of Agriculture Pelanda relayed aspects of her recent tour of Ohio farms and spoke about partnering with farmers for further nutrient management, water management, and soil conservation efforts. During an extensive question and answer session, including input from the Kimberly Murnieks, Director of the Office of Budget and Management, the details of the $900 million dollars as a Dedicated Purpose Fund (DPF) became clearer. This DPF, if passed by the legislature would establish a fund to direct $90 million per year for 10 years towards activities, conducted in accordance with the law, dedicated to the H2Ohio initiative. Although vigilance will be required to make certain that the money is spent accountably, on time, and not re-directed to unrelated efforts, this dedicated funding process will not demand efforts to for re-appropriation every two years as part of the state’s biennium budget process. This would allow for a fast start and unlike a bond issue won’t be encumbered with the need to pay nearly $450 million in interest. Governor DeWine’s H2Ohio Initiative is an investment in Ohio’s future. More wetlands, means more waterfowl, means more duck hunters, means more spending. More fishable days on the water from Lake Erie to the Ohio River equate to more licenses and lures sold. This investment, like the best of investments, will pay dividends in both the short and long term; providing safe drinking water, creating jobs, and enriching people’s lives throughout the state. 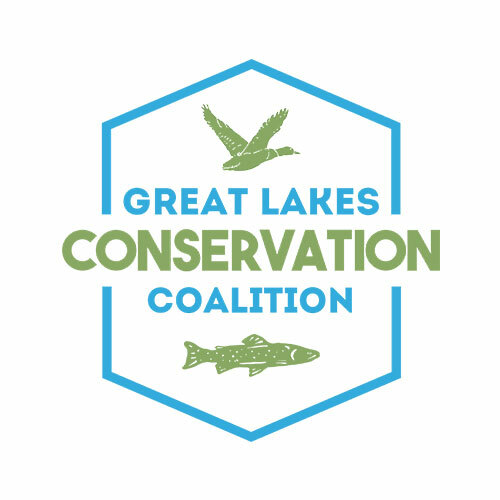 Among the groups in attendance were the Cleveland Water Alliance, National Ground Water Association, The Nature Conservancy, Loraine County Public Health, Alliance for the Great Lakes, Ohio Agribusiness Association, Ohio Farm Bureau, and Tecumseh Land Trust.